We recently caught up with Police Constable Dan Haile, who is part of the Special Ops Unit based at Melton Police Station, Humberside Police. Dan has been a police officer for 17 years and has worked in two police forces during that time. PC Haile is a licensed dog handler and has two working dogs. 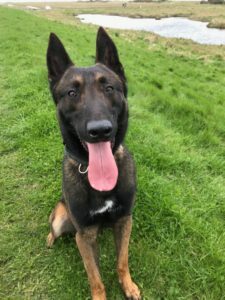 The first of PC Haile’s working dogs is PD Kodi. 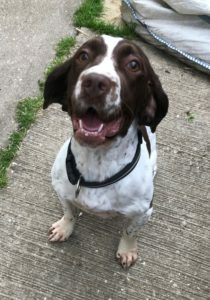 The second of PC Haile’s working dogs is PD Reggie, who is a 5 year old English springer spaniel who is trained and licensed as a Drugs, Cash, and Firearms detection dog. The Buddies team came up with some questions for PC Haile his PD’s Kodi and Reggie. 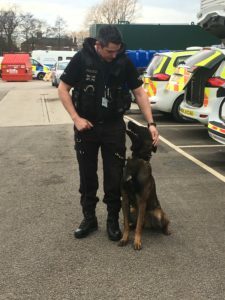 Any tips for those looking for a career as a police dog handler? A huge thank you to Police Constable Dan Haile, and the wider team at Humberside Police, for taking the time to chat to us.